You must make reservations at least 5 minutes in advance of the time at David's. Street parking available. Please check signs for duration. Free under cover public car park with 2 hour duration directly opposite venue. Paid parking available at 8-14 King Street Prahran (adjacent to venue). For more information on parking around our venue please visit www.chapelstreetparking.com.au for more information. Within 10 minute walk to Prahran Station. Trams 6, 72, 78,and 79 within close proximity. Take away and delivering through Deliveroo, visit https://deliveroo.com.au/menu/melbourne/prahran/davids for more information. External catering events available. Please contact restaurant for details. If you’re after a stylish function space without the snobbery, David’s knows the perfect place. Call us biased, but it’s right here in our restaurant. We offer a range of function and private dining options for groups ranging from 30-120 people, giving you the option to hire out the front, back, or entire venue to suit your requirements. Whether you’re after a cocktail event with a Shanghai sparkle or a sit-down celebration that’s the whole shebang, David’s has you covered. 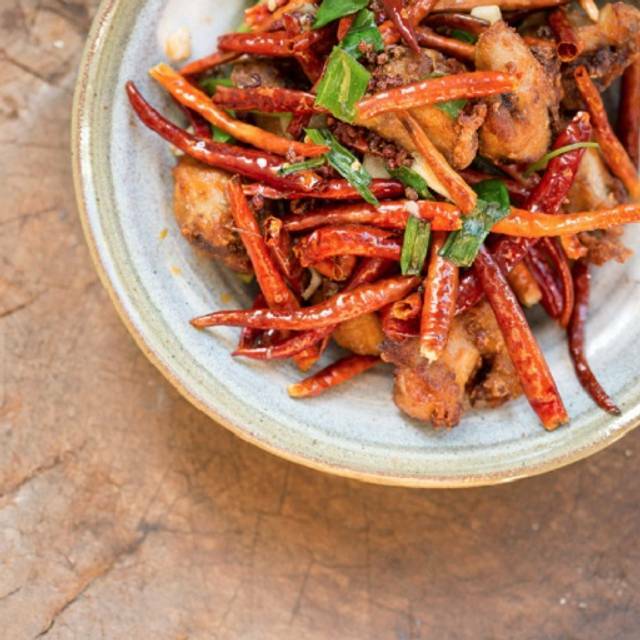 Choose from a Shanghai-inspired sharing menu, or tell us what you’re after and we’ll tailor the menu to your needs. Either way, we highly recommend including our delicious cocktails or drinks package. For more information please check out our functions kit at: http://davidsrestaurant.com.au/wp-content/uploads/2018/03/Davidsfunctionkit2017.pdf. 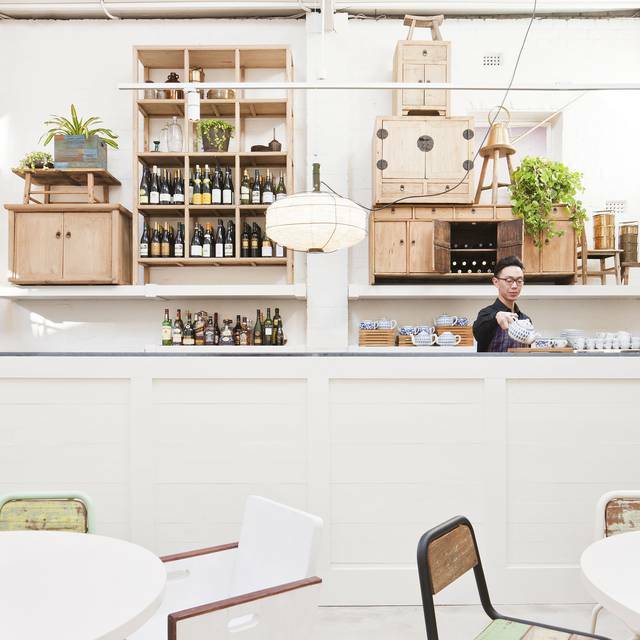 David's Restaurant, in Prahran, crafts delectable contemporary Shanghai-style Chinese cuisine with knowhow and passion in its friendly and charming eatery. 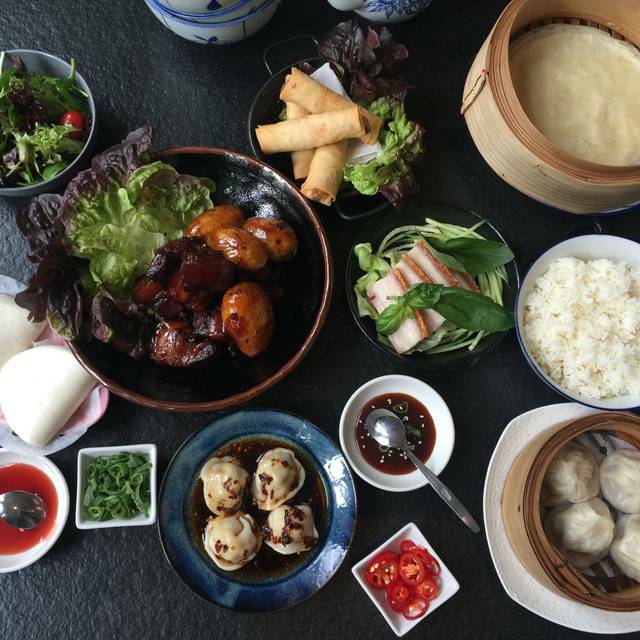 The Shanghai pan-fried spring onion pancakes and the tender prawn and chopped chive dumplings make for superb starters. 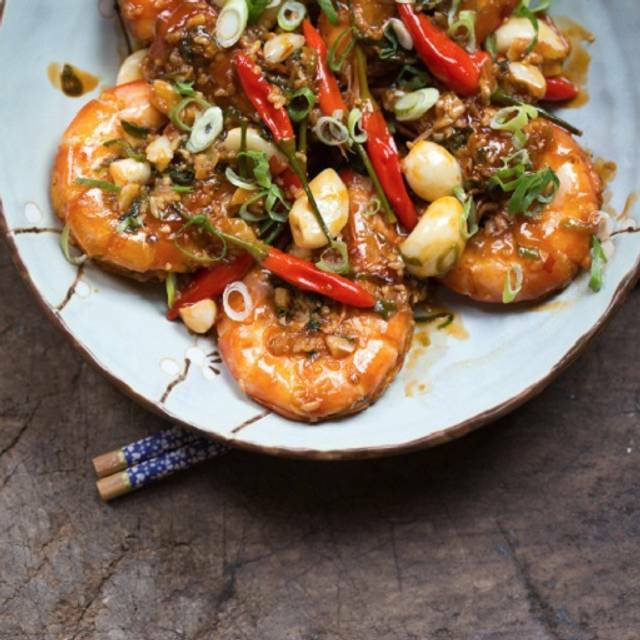 Some of David's Restaurant's specialty larger dishes include the spicy white cut chicken with peanuts and sesame in a chili sauce, the chunky barramundi fillets in spicy black bean paste with fried potatoes and the crispy fried iron Buddha beef served atop fragrant tea leaves, all of which are delicately seasoned. 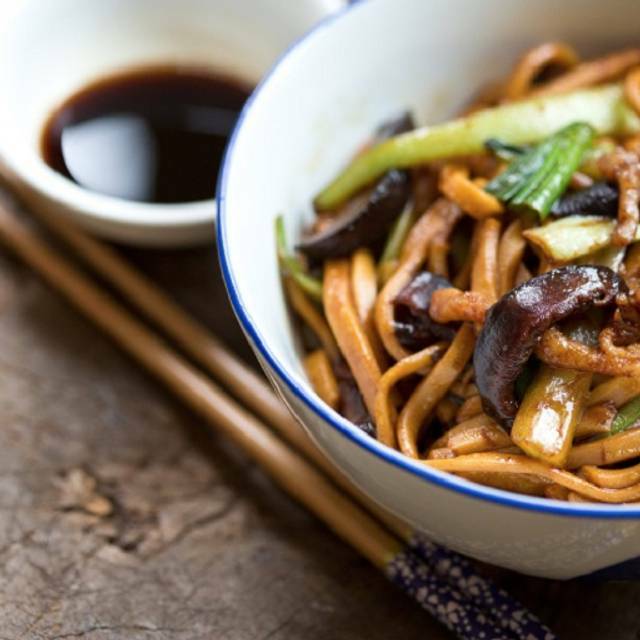 Noodle and rice dishes, such as the fat Shanghai noodles with pork and vinegar and Auntie's fried rice with sausage and egg, are other diner favorites. The white chocolate dumplings with praline is a perfect dessert. 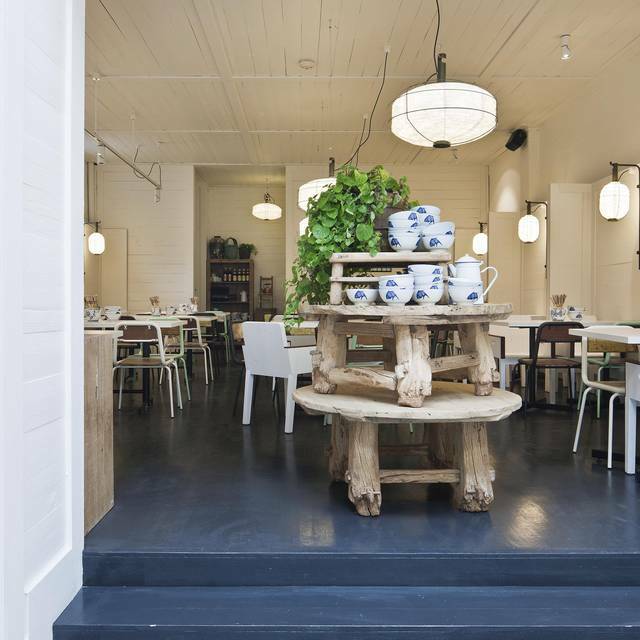 David's Restaurant also has a full gluten-free menu, as well as being one of the best Yum Cha destinations in Melbourne. My partner and I had a fantastic experience at David's. The decor is refreshingly warm but well themed. food is tasty and the service is wonderful and warm. We loved the dim sum, the Peking Duck platter, and the lamb ragu. Portion size is generous. Cannot fault it! Nice food with great service and a good atmosphere. From our initial contact with David's, Adam and all the staff were helpful and pleasant. We loved the whole ambience of the restaurant as we entered, with its sense of light and space. Having ordered the Feasting menu for eight people, we were impressed with the delicious and varied flavours. Our stand outs were the hawker style lamb, the sticky pork belly and the 'fish fragrant' eggplant but nothing disappointed. The service was prompt and informative, with the added bonus of BYO wine Monday to Thursday, which is such a rare treat these days. We must return, to experience more of David's delectable offerings. Great food and great service here. Very hectic and noisy but translates into a fun energetic environment. My only downside is the charge for the tea. "Did you want some green tea for the table" I (stupidly) assumed it was included in the YumCha. It wasn't and was and extra $20. Which was a lot to pay for a pot of hot water. I would visit again but will be more careful to check if the item is an extra. Staff were excellent! You can guarantee that you’ll have to roll out because you’re that full or be in a food coma for the next few hours. The food was amazing tasty and plenty of it. There’s a perfect amount of time between then next option, and you can order any you enjoyed. Next time I would bring our own bottle of wine because the drink prices are on the higher side. They also asked about any allergies which I appreciate due to having a nut allergy. Food was really good. But I probably would like to see more varieties. There’s only 1 or 2 chicken dish on the menu and maybe 1 pork dish. But overall it was fantastic. My Dad’s 87th birthday demanded something young, with a hip hop happening vibe and delicious food. We got tremendous service, food and ambience. David’s is now a firm favourite. Tucked away in a quiet side street, David’s is a hidden gem. Loved the very cool white decor - not what we were expecting at all. Service was very attentive and friendly. The food was simply sensational! Every single dish we ordered was divine. The chicken and the pork belly were standouts. The dumplings were great too. Delicious desserts too - the plums and the roasted white chocolate were wonderful! And they were beautifully plated up. We will definitely be back to try all the other dishes on the menu. Highly recommend! great quality food with fantastic service. Great vibe in the venue, but on the noisier side. sit up the back, closer to the food when it comes out! What a shame that the tardy service and noise levels detracted from the delicious (if very very late) food. Had a 6:30 booking, the restaurant was at 50% capacity. Our waiter was not familiar with the new menu and there was duplication on it. We ordered sparkling water and some tea, both arrived quickly. We ordered some sashimi as a starter, dumplings, noodles and mapo tofu. We waited 50 minutes for food before the sashimi arrived. Curiously our waiter checked where our food was 5 minutes earlier. I asked how long it would be, only for our waiter to not return for 10 minutes. We decided we were not waiting any further and would leave. We instructed that we would pay for what we consumed but they apologised and decided not to charge us. A terrible experience, but the pad Thai down the road was cheap and immediate. The restaurant ambience was nice, but it was an extraordinarily loud environment for the size. I will not return to Davids under any circumstance in the future. Went on a Monday night (so hard to find a restaurant open on a Monday!) for our 30th wedding anniversary dinner. Super attentive service with great food. We will be back. Delicious. Particularly appreciated the kind and prompt service. A great dining experience. Amazing food and service. Loved every dish, especially the chocolate dessert dumplings and only wish we had room for more. 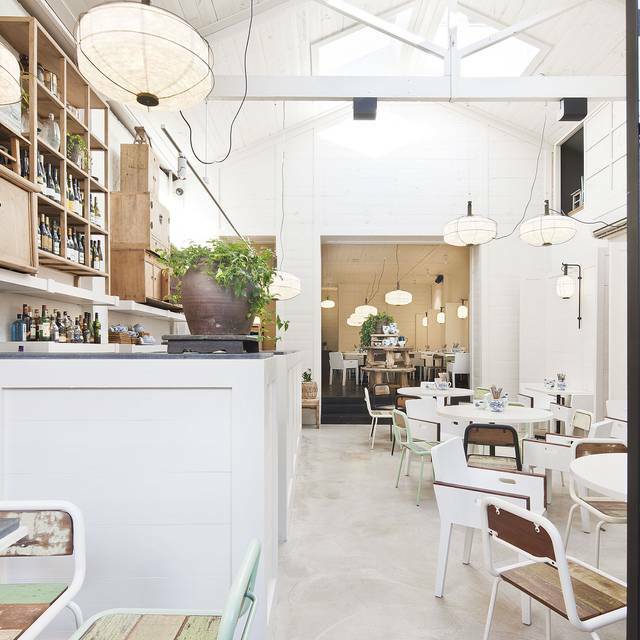 A great place to show off Melbournes foodie scene. 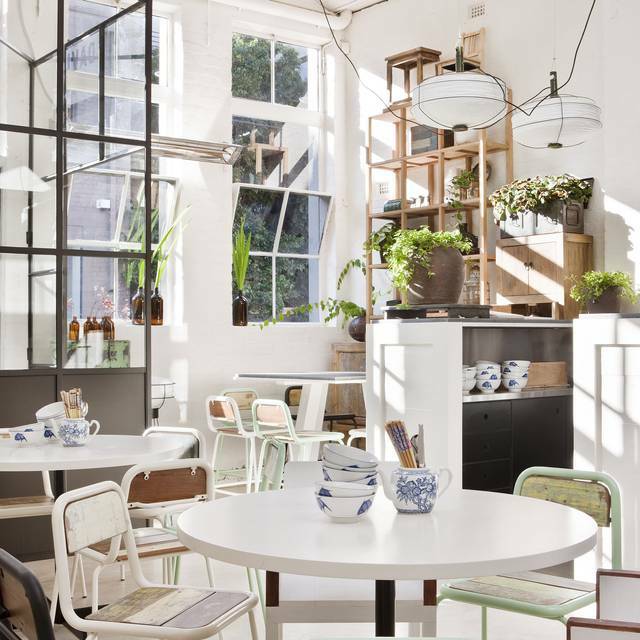 Also love the fresh scandi interior opposed to the traditional yum cha restaurant style, feels like a place for everyone. We will be back! Yum cha was amazing! Fun for all sizes of parties! Christine, the manager is ultra attentive. I would highly recommend David's. We took friends to this restaurant who were over from the UK and it was absolutely sensational. We ordered the feasting menu and it was all delicious and definitely fed four of us (loads). Would highly recommend. Great service and fantastic food. We had the all you can eat Yum Cha which comes out like a rolling degustation menu. One tip, don't go too hard to fast or you'll miss out on the great dishes towards the end. Delicious afternoon of eating a wonderful Yum Cha. Great service- a lovely assortment of food that was served efficiently. Great time. Only complaint is that it was not as cool as we would have liked- but in fairness was a very warm day. Lots of ice happily provided to keep our drinks cool. Thanks to the friendly staff! David’s is pretty reliable. The food always good. It was a warm day when we went, about 33 degrees, and it was just very hot inside. It only got hotter and more humid as time went on, which made it a bit uncomfortable. Great food, friendly service and good value for the all you can eat yum cha, all four of us left stuffed. The one complaint our table had: we were the furthest from the kitchen and many trays finished before reaching us, so some of the dishes never made it to us, or only one or two of our table if four received some dishes. Service should be mixed with some dishes starting from the back and moving towards the kitchen. However, once we voiced our concern we were asked what we missed out on and everything was cooked fresh for us. The dessert was great too. I would recommend David's for yum cha. This was my first time at David's and it had been recommended by a friend. The service was brilliant, the food incredible and the atmosphere was light, bright and welcoming. I will definitely be going back! Terrific food; great service; special thanks to the chef who worked long past his shift to make dumplings for friend who arrived late from OS. 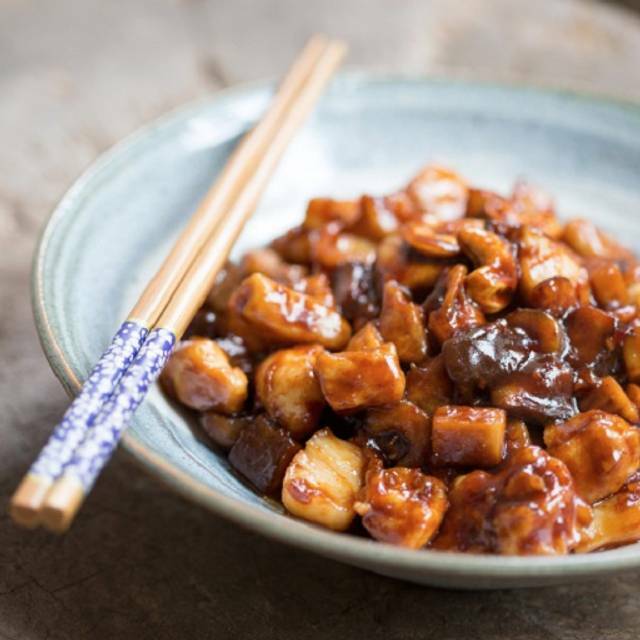 I am not a big fan of Chinese but David's is different to other typical Chinese restaurant... Food was tasty and healthy and exceptional service was provided entire night... I will go again for special Monday and Yum Cha on weekend!!!! David’s is a absolute treat - for twenty years they have been dishing up some of the most delicious Chinese food I have ever tasted. Quality ingredients and fantastic service. It is always a favourite and always consistently great!! The food was fabulous as usual. Great for an intimate dinner and dinner with friends. Christine is always lovely and the cocktails are delicious! I would highly recommend this to friends. Cool interiors and extensive menu. Had the Valentine's set menu and look forward to returning and trying more of the cuisine. Waiters were all friendly and accommodating. Great restaurant for traditional Shanghainese food with some modern twists, and in a contemporary Australian-feel ambience. Nice layout, and gets quite busy so I would recommend booking ahead. Service was efficient and fair, though felt a bit rushed and was difficult to get their attention at times. Amazing service that accommodated our large group. The staff were amazing at handling our young children and helping with the menu. Thankyou! Staff are very attentive and polite. Was lovely they came around to tables and checked if the food and service was adequate. Informed the name of dishes and it's ingredients the guests when delivering at tables. We were very impressed with this venue. Great variety of food at the unlimited yumcha. Excellent staff & service and plenty of food to go around. We were celebrating a milestone birthday so having the ability to BYO wine (corkage fee is reasonable) was fantastic. Loved this place - will definitely be back! We had a great meal to celebrate the lunar new year. Specials were great and the service was attentive informed. We loved it. The menu read beautifully and had us very excited about what was to come. Unfortunately the dishes didn’t execute to expectation. Great customer service and awesome ambiance. Enjoyed the yumcha experience, definitely will go back there again.